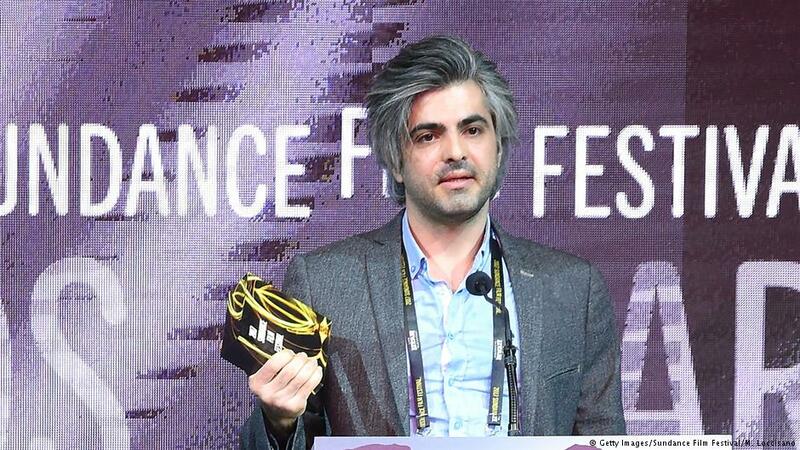 (By Nino Orto) “I was arrested in 2011 during the popular uprising against President Bashar al-Assad because I was making a film about freedom of speech in Syria,” says Firas Fayyad. “I spent three months in jail and then I was arrested again. During my time in prison, many times I was close to death because of the torture. In the months held by security service I saw atrocities with whole families tortured, often in front of their relatives, who were forced to watch. “My goal is to show the impact of the war on civilians and the inner conflict inside every human being trapped between the fear of the death and the will to help their community. It is also to describe how deeply divided Syrian society has become between fathers, brothers, friends and their struggle between the choice to leave the country or stay to help. “I decided to tell this story because, as every Syrian, I dream to see peace there. The documentary is also a way to collect evidence of war crimes committed against civilians that can be used to charge those who are responsible for such destruction and loss of life. “Thanks to Last Men in Aleppo, people around the world are now starting to think about peace in Syria – as they believe the war must be stopped in any way. The international community have an opportunity to get a glimpse of what Syrian men, women and children have had to go through and their experiences, their hopes and dreams. Last Men in Aleppo was also recently screened during the Davos World Economic Forum, unveiling a first-hand view of Syria’s war to world leaders. It demonstrated how inaction was indirectly contributing to destroying the country. “The impact in Davos was huge. These leaders now understand what kind of war crimes are going on in Syria and are fully aware that one of the most important things to reach is instituting an international trial, one of the most important steps for a fully and effective peace process. “Some of the international leaders are starting to looking at the war in Syria in a different way. This is a film which puts the international leaders and policymakers right in front of what has happened across the country and about international issues such migration, refugee policies, and the consequences of the conflicts all around the Middle East. “I’m not able to say what will happen in Syria. However, I hope my job will help initiate conversations about how we can address war crimes committed and create space to talk about a future process peace. I do not know if Syria will be divided or will survive as a country, or if President al-Assad will win or lose. “I do not like to use this word because when there is a war there are never winners. A war is not a match where two sides fight against each other, this is a cliché, because we are talking about a society divided and completely destroyed. No one wins. Everyone loses. Assad has ceaselessly insisted that he remains the legitimate president of Syria – but after seven years of brutal war, little has changed in his attitude towards his citizens and the way he manages power. Firas Fayyad’s own story is a window into the life of millions of Syrian refugees stuck in limbo and prevented from returning to their country. “I don’t think I will be able to go back to Syria and be accepted by the government – first of all, they should show my documentary to other Syrian civilians inside the country. As an artist, my work should be respected, however there are still people in power who use their position to control you and your freedom of expression and define you as a criminal just because you made a film.